* Earlier this month, attacking midfielder Thomas Zenke of ABS FC was included in the squad of the Nigeria U-20 national football team. I have read some rave reviews about Zenke and this is definitely a player to look out for. Zenke has scored two league goals so far this season and has featured regularly for ABS FC. * Sharks FC has signed centre forward Felix Ogbuke (born 18.09.1985), formerly of MS Ashdod(Israel), Hapoel Tel-Aviv(Israel), Maccabi Petach Tikva(Israel), Hakoach Ramat Gan(Israel), Apollon Limassol(Cyprus) and Legia Warszawa(Poland). I find it positive that such an experienced player is back in the Nigeria Premier League. Further, I think Sharks has signed midfielder Emmanuel Tubonemi (born in 1985), formerly of AS Trencin of Slovakia. * Saheed Babinton Fabiyi (born 23.12.1990) made a goalscoring debut for Enyimba FC on 25.04.2012 against Kwara United FC. In 2007, Fabiyi was part of the Nigeria U-17 national football team that won the FIFA U-17 World Cup. Fabiyi has been at several trials since 2007 but as far as I know, he has never played an official league match in Europe. 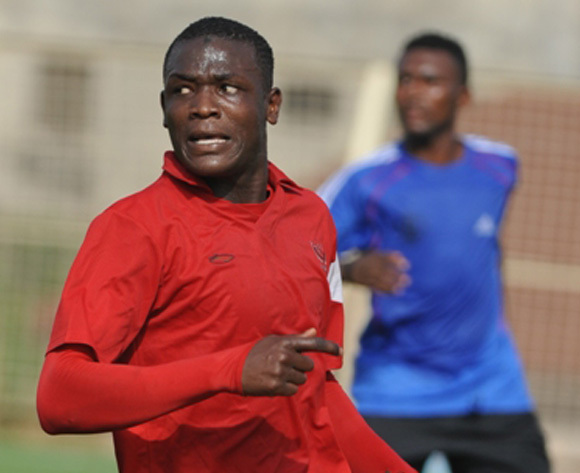 Fabiyi is primarily a right-winger but can also play on the left or as a striker. * Abashi Barnabas is an attacking midfielder / striker who was part of the Nigeria U-23 national football team in 2008. Barnabas is now playing for Niger Tornadoes FC after a stint in the Middle East, most likely in Yemen. – Olushola Soji Jolayemi (born 09.06.1989) is a striker, formerly of Séwé Sport from the Ivory Coast. He failed to break through in the Ivorian Ligue 1 but will be hoping for success in his country of birth. – Erefaa Horsfall is a goalkeeper, formerly of Julius Berger FC. Horsfall has been impressive since taking over the number one shirt at the club. – Ahmed Kadiri (born 13.12.1992) is an attacking midfielder, formerly of Bayelsa United FC and Enyimba FC. Kadiri was part of the Nigeria U-20 national football team during 2011. * In March 2012, I wrote about the “mysterious” player at Ocean Boys FC called “Raphael” whose last name has been written six different ways in Nigerian media. I recently learned that this real name most likely is Raphael Onwerebe and that he is a former player of USS Kraké of Benin. Onwerebe has scored three league goals for Ocean Boys FC so far this season. * Centre forward Gero Alhaji (born 10.10.1993) failed to score during 14 matches for Kaduna United FC but the powerful youngster showed enough to be picked up by the more ambitious Rangers International FC earlier this month, making a goalscoring debut against Akwa United FC on 22.04.2012. A few days later, Alhaji was included in the squad of the Nigeria U-20 national football team. The picture is of Alhaji and is taken from MTN Football.